The Radio Survivor podcast celebrates the mosaic of community radio, featuring Paul Riismandel, Ernesto Aguilar, and Jennifer Waits. Today’s complex digital media environment requires more sophisticated ways of knowing and connecting with an audience. 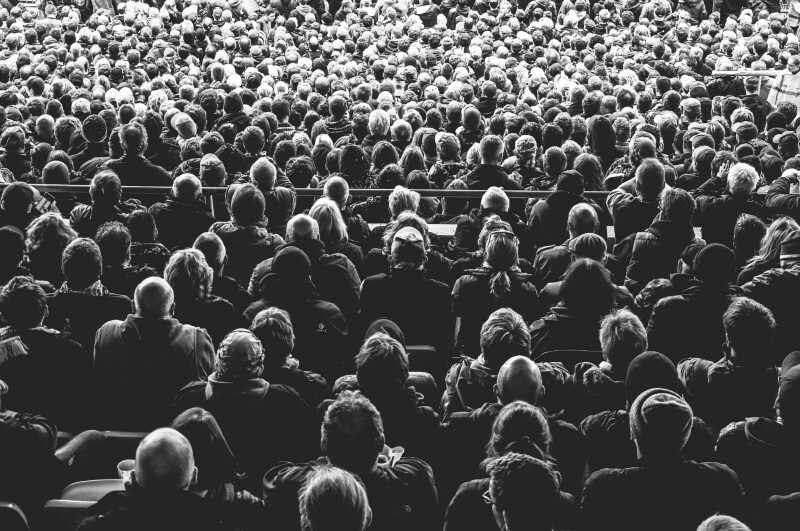 The explosion of on-demand choice and, for public media, the potential to reach and engage younger but often times more demanding and fickle audiences, have forever changed the rules of audience engagement. Read more here. Founded in 1990 in Santa Fe, New Mexico by social entrepreneurs Kenny Ausubel and Nina Simons, Bioneers advances the great transformation underway in human civilization by serving as a seed head for game-changing social and scientific vision, knowledge and practices that honor the genius of nature and human ingenuity. Listen to Bioneers Radio here. Starting a Podcast? Here's How. 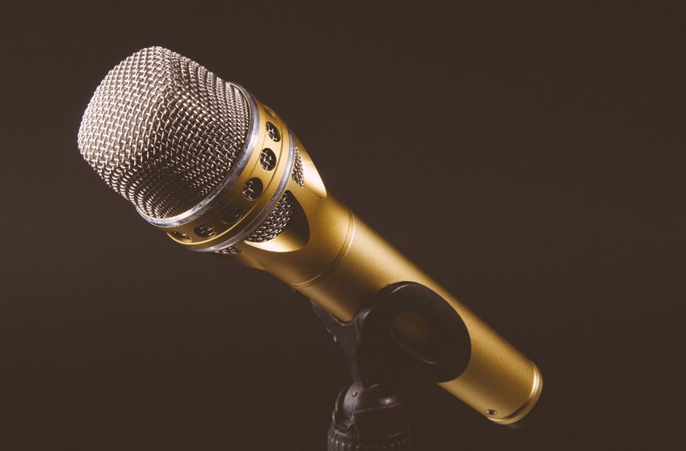 The ultimate guide to starting, producing, and promoting a podcast - a step-by-step tutorial by Michael Sacca at Maker. The guide covers the basics of creating, producing, and promoting your own podcast from how to find the topic that’s right for you, how to decide what format works for your podcast, how to find people to interview, and all the way down to the brass tacks of what recording gear you’ll need, how to edit, and finally, how to distribute and market your podcast so people can find it. So click here and see everything you need to get started on your own podcast today. Geo-Location Technology for Community Media? A new web-based start-up enterprise is combining the traditional community media model of volunteer-based local journalism with the technology of mobile geo-location. The website "Ripple" seeks to commercially conquer the hyper-local challenge that has so far eluded many other "new media" solutions. While investors are betting on the commercial potential of the platform, could this also be a breakthrough innovation for community media? Our new series "LPFM Profiles" takes a look at the incredible variety of new Low Power FM radio stations in the USA. Today we introduce WVMO Radio - owned and operated by the City of Monona, Wisconsin. The City of Monona worked to apply for and create a low-power FM radio station beginning in 2007. The city wanted to add another avenue for its residents and surrounding community members to voice their opinions, stories, interests, and concerns, while at the same time allowing the city an additional opportunity to communicate with the residents of Monona. WVMO’s mission is to be a 24 hour voice of the Monona area community, including cultural and social issues. They provide broadcast space for creative expression and community involvement, and produce diverse programming representative of Monona and Madison's East Side community. Denver Open Media wants your help. They have launched a Kickstarter fundraising campaign to establish a new local radio: DOM 104.7 FM in Denver, Colorado. The Open Media Foundation has teamed up with Denhac to launch a new addition to Denver Open Media: 104.7 FM, a revolutionary radio station created by, operated by, and dedicated to Denver’s creative community. Exclusively for local artists, bands, comics, podcast authors and more, community members create the content, while listeners vote to give the most prime and repeat air-time to the top-rated content. To donate, vist their Kickstarter page. 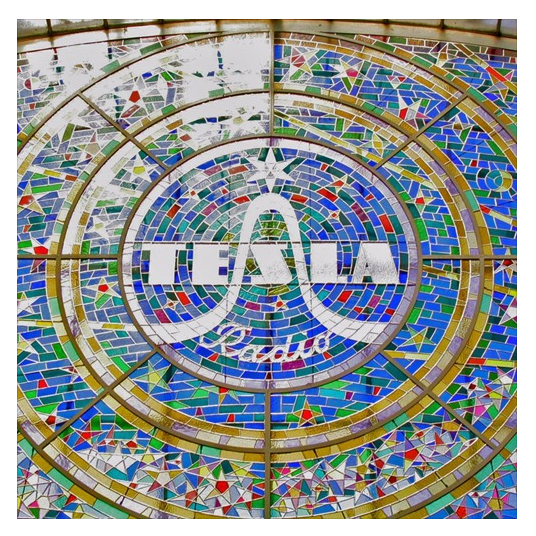 The World's Greatest Radio Station? Is there a world's greatest radio? Have you listened to WWOZ? They certainly have to be considered, not just for their incredible music, but as a leading institution preserving and promoting the rich, vibrant culture of New Orleans. How Healthy is Your Community Radio? Many community radios struggle to survive, whilst overlooking the real keys to their own success. Should these operators reexamine their mission, goals and strategy, they might find the local radio landscape a much more hospitable environment. Community radios are not just charities, they are social enterprises with a responsibility for effectiveness and sustainability. The way to achieve those ideals is to be an effective organization building strong relationships in your community to develop reliable revenue streams. Read more at the Community Radio Toolkit. UNESCO organized an international conference in Paris to discuss ongoing concerns about the safety of media members. This follows UNESCO Executive Board 196/Decision 31 which requests "the Director-General to convene a conference with high level representatives of news organizations from all regions, including community media and small media outlets, open to stakeholders, to be fully funded by extra-budgetary contributions, in order for them to share good practices on the safety of journalists and more proactively highlight the issue of journalist safety". Community broadcasters are generally not-for-profit organizations, but certainly they require financial support to carry out their mission. 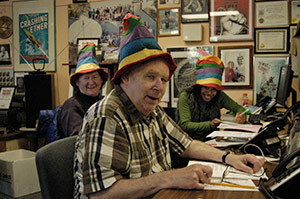 One method is for volunteer fundraisers to ask for donations, demonstrated by WORT-FM radio in Madison, Wisconsin USA. For more info on the the people and systems for successful fundraising at WORT radio, visit their website and click the button "How to Help". 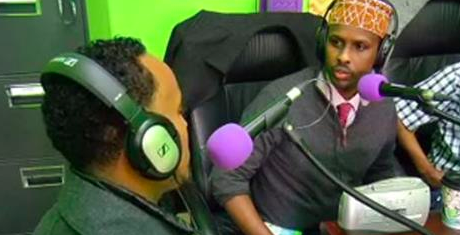 KALY is the first Somali radio in the USA, and licensed to broadcast by the FCC for FM transmission in Minneapolis, Minnesota. The Somali-American radio station now broadcasting in the Twin Cities hopes to help families navigate issues ranging from where to park during a snow advisory, to how to protect their children from extremist rhetoric and terrorist recruiters. The station went on the air in October out of a small shop in South Minneapolis no bigger than a storage locker. The humble beginnings could be the start of a vital conversation for a booming community. Nearly 14,000 Somalian refugees have resettled in Minnesota since 2003, according to the Minnesota Department of Human Services. Media Freedom in Palestine? Apparently Not. The Palestinian Center for Development and Media Freedoms (MADA) reports that the Israeli government forces have shut down another radio in Palestine. "Ramallah-29/11/2015- early Sunday, 29th of November, IOF shut down the third Palestinian radio station (Dream) in Hebron city in West Bank within less than one month, after raiding its headquarter and destructing its equipment and devices. However, this records a new peak of the systematic trends of IOF to suppress Palestinian media freedoms and media outlets, especially since the Israeli threats to close up a number of Palestinian radio stations. Similarly, in 3rd and 21st of November, IOF shut down the radio stations of “Manbar Al-Houria” and “Sawt El-Khalil" (Hebron voice) after they raided their headquarters and confiscated the broadcasting devises and most of their equipment (both of them issued from Hebron gonvernate), for allegedly involved in “exercising incitement”. Hence, IOF handed both radio stations a decision to shut them down for a period of six months, which is also similar to what happened to Dream radio station today. Palestinian Center for Development and Media Freedoms “MADA” condemns the attack against Dream Radio, in addition to the previous attacks against Manbar Al-Houria and Sawt Al-Khalil radio stations. It also urges to force the Israeli occupation force to abide by International Laws that guarantee freedom of expression." Speaking on the Nieman Reports site of Harvard University, Evan Zuckerman of the MIT Center for Civic Media says his research focuses on the use of new media technology by activists, the distribution of attention in both mainstream and new media, and the utilization of technology for international development. "We’ve got people not just writing stories, but also making videos, making audio. Putting it up directly on the web. In that sense, a lot of what’s come out of the participatory media realm has infected mainstream journalistic culture." He continues: "There’s an awful lot of good content out there, and if you know where to look, it’s often much, much more diverse than it would have been in earlier days." But where to look, and how these media sites can be sustainable? You can read his take on these questions and the entire interview here. The internet streaming service of Hromadske TV delivers a new independent source of news and information to viewers in Ukraine and beyond. In a counrty dealing with a long dysfunctional media sector, and a violent incursion into its territory, the need for reliable information is now greater than ever.